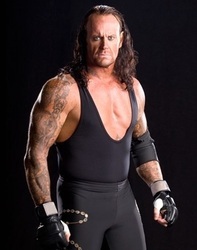 March 24, 1991 - WrestleMania 7: The Undertaker w/Paul Bearer defeated Jimmy "Superfly" Snuka..
April 5, 1992 - WrestleMania 8: The Undertaker w/Paul Bearer defeated Jake "The Snake" Roberts..
April 4, 1993 - WrestleMania 9: The Undertaker w/Paul Bearer defeated Giant Gonzales w/Harvey Wippleman by DQ..
April 2, 1995 - WrestleMania 11: The Undertaker w/Paul Bearer defeated King Kong Bundy w/Ted DiBiase..
March 31, 1996 - WrestleMania 12: The Undertaker w/Paul Bearer defeated "Big Daddy Cool" Diesel in a Grudge match..
March 23, 1997 - itle HosWrestleMania 13: The Undertaker defeated Sycho Sid to win the WWF World Heavyweight title! 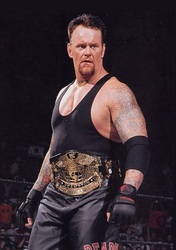 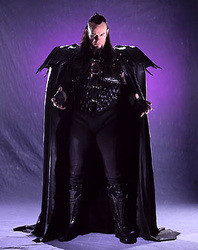 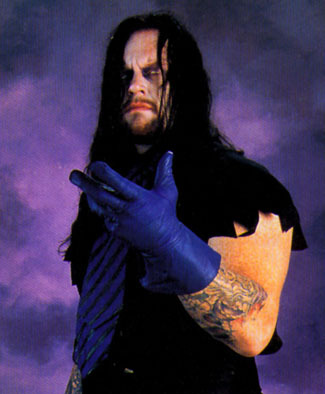 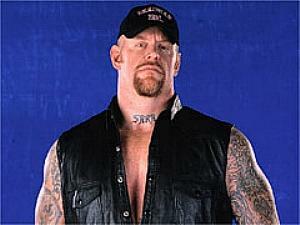 March 29, 1998 - WrestleMania 14: The Undertaker defeated Kane w/Paul Bearer in a "Brother vs. 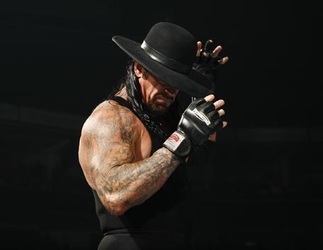 Brother" match..
March 28, 1999 - WrestleMania 15: The Undertaker defeated The Big Bossman in a Hell in a Cell match..
April 1, 2001 - WrestleMania 17: The Undertaker defeated "The Cerebral Assassin" Triple H..
March 17, 2002 - WrestleMania 18: The Undertaker defeated "The Nature Boy" Ric Flair..
March 30, 2003 - WrestleMania 19: The Undertaker beat Big Show & A-Train in a Handicap match with help from Nathan Jones..
March 14, 2004 - WrestleMania 20: The Undertaker w/Paul Bearer returned using the DEADMAN gimmick and defeated Kane! 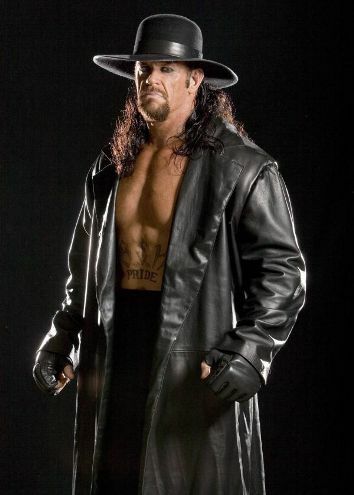 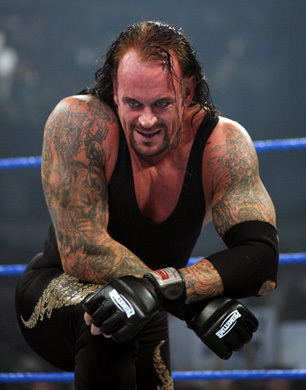 April 3, 2005 - WrestleMania 21: The Undertaker defeated Randy Orton in a Grudge match despite Bob Orton's interference..
March 28, 2009 - WrestleMania 26: The Undertaker defeated Shawn Michaels (Career vs. Streak)..